Pyrotechnics is the science of using materials capable of undergoing self-contained and self-sustained exothermic chemical reactions for the production of heat, light, gas, smoke and/or sound. Its etymology stems from the Greek words pyro ("fire") and tekhnikos ("made by art"). Pyrotechnics include not only the manufacture of fireworks but items such as safety matches, oxygen candles, explosive bolts and fasteners, components of the automotive airbag and gas pressure blasting in mining, quarrying and demolition. A pyrotechnic fastener is a fastener, usually a nut or bolt, that incorporates a pyrotechnic charge that can be initiated remotely. One or more explosive charges embedded within the bolt are typically activated by an electric current, and the charge breaks the bolt into two or more pieces. The bolt is typically scored around its circumference at the point(s) where the severance should occur. Such bolts are often used in space applications to ensure separation between rocket stages, because they are lighter and much more reliable than mechanical latches. A pyrotechnician is a person who is responsible for the safe storage, handling, and functioning of pyrotechnics and pyrotechnic devices. Although the term is generally used in reference to individuals who operate pyrotechnics in the entertainment industry, it can include all individuals who regularly handle explosives. However, individuals who handle more powerful materials for commercial, demolition, or military applications are generally referred to as explosive technicians. Many musical groups use pyrotechnics to enhance their live shows. Pink Floyd were innovators of pyrotechnic use in concerts. For instance, at the climax of their song "Careful with That Axe, Eugene", a blast of smoke was set off at the back of the stage. 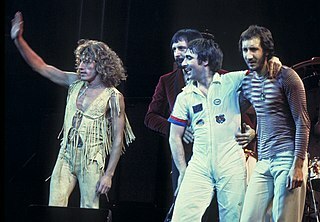 Bands such as The Who, KISS and Queen soon followed with use of pyrotechnics in their shows. Michael Jackson attempted using pyrotechnics in a 1984 Pepsi advertisement,  where a stray spark caused a small fire in his hair. German industrial metal band Rammstein are renowned for their incorporation of a large variety of pyrotechnics into performances, which range from flaming costumes to face-mounted flamethrowers. Nightwish, Lordi and Green Day are also known for their vivid pyrotechnics in concert. Many professional wrestlers have also used pyrotechnics as part of their entrances to the ring. "Careful with That Axe, Eugene" is an instrumental piece by the British rock band Pink Floyd. The studio recording was originally released as the B-side of their single "Point Me at the Sky" which also features on the Relics compilation album; live versions can also be found on various releases. 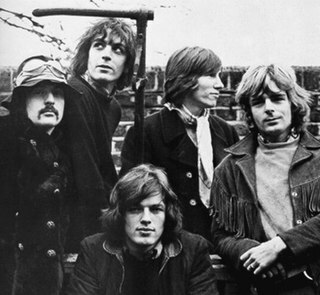 Pink Floyd re-recorded the track for Italian director Michelangelo Antonioni's film Zabriskie Point, retitling it "Come In Number 51, Your Time Is Up" on the film's soundtrack album. This song was one of several to be considered for the band's "best of" album, Echoes: The Best of Pink Floyd. It was included on the multi-artist Harvest compilation, A Breath of Fresh Air – A Harvest Records Anthology 1969–1974 in 2007. A gerb is a type of firework which produces a jet of sparks, usually lasting between 15 and 60 seconds. It is a thick-walled tube filled with pyrotechnic composition and possessing a choke, which is a narrowing in the tube. Gerbs are often referred to as 'fountains'. A squib is a miniature explosive device used in a wide range of industries, from special effects to military applications. It resembles a tiny stick of dynamite, both in appearance and construction, although with considerably less explosive power. Squibs consist of two electrical leads which are separated by a plug of insulating material, a small bridge wire or electrical resistance heater, and a bead of heat-sensitive chemical composition in which the bridge wire is embedded. Squibs can be used for generating mechanical force, or to provide pyrotechnic effects for both film and live theatrics. Squibs can be used for shattering or propelling a variety of materials. An electric match is a device that uses an externally applied electric current to ignite a combustible compound. Pyrotechnics are dangerous and must be handled and used properly. Recently, several high-profile incidents involving pyrotechnics have re-enforced the need to respect these explosives at all times[ citation needed ]. Proximate pyrotechnics is an area of expertise that requires additional training beyond that of other professional pyrotechnics areas and the use of devices specifically manufactured for indoor, close proximity use. ↑ "Fireworks factory explodes in Colombia". BBC. 5 Jan 2015. The Station nightclub fire occurred on Thursday, February 20, 2003, in West Warwick, Rhode Island, killing 100 people and injuring 230. The fire was caused by pyrotechnics set off by the tour manager of the evening's headlining band Great White, which ignited plastic foam used as sound insulation in the walls and ceilings surrounding the stage. The blaze reached flashover within one minute, causing all combustible materials to burn. Intense black smoke engulfed the club in 5½ minutes. Video footage of the fire shows its ignition, rapid growth, the billowing smoke that quickly made escape impossible, and blocked egress that further hindered evacuation. The toxic smoke, heat, and the resulting human rush toward the main exit killed 100; 230 were injured and another 132 escaped uninjured. Many of the survivors developed posttraumatic stress disorder as a result of psychological trauma. A firecracker is a small explosive device primarily designed to produce a large amount of noise, especially in the form of a loud bang; any visual effect is incidental to this goal. They have fuses, and are wrapped in a heavy paper casing to contain the explosive compound. Firecrackers, along with fireworks, originated in China. A Roman candle is a traditional type of firework that ejects one or more stars or exploding shells. Roman candles come in a variety of sizes, from 6 mm (1/4") diameter for consumers, up to 8 cm (3") diameter in professional fireworks displays. In an explosive, pyrotechnic device, or military munition, a fuse is the part of the device that initiates function. In common usage, the word fuse is used indiscriminately. However, when being specific, the term fuse describes a simple pyrotechnic initiating device, like the cord on a firecracker whereas the term fuze is sometimes used when referring to a more sophisticated ignition device incorporating mechanical and/or electronic components, such as a proximity fuze for an M107 artillery shell, magnetic or acoustic fuze on a sea mine, spring-loaded grenade fuze, pencil detonator, or anti-handling device. Flash powder is a pyrotechnic composition, a mixture of oxidizer and metallic fuel, which burns quickly and if confined produces a loud report. It is widely used in theatrical pyrotechnics and fireworks and was once used for flashes in photography. A visco fuse is a higher-quality fuse used for consumer fireworks. It is most commonly colored green or red, and is found as a twisted, coated strand. It is also used to create delays in the firing of multiple firework displays. A flash fire is a sudden, intense fire caused by ignition of a mixture of air and a dispersed flammable substance such as a solid, flammable or combustible liquid, or a flammable gas. It is characterized by high temperature, short duration, and a rapidly moving flame front. NFPA 1123, subtitled Code for Fireworks Display is a code administered, copyrighted, and published by the National Fire Protection Association (NFPA). NFPA 1123 is the registered trademark of an American consensus standard which, like many NFPA documents, is systematically revised on a three year cycle. M-80s are an American class of large powerful firecrackers, sometimes called salutes. M-80s were originally made in the early 20th century by the U.S. military to simulate explosives or artillery fire; later, M-80s were manufactured as fireworks. Traditionally, M-80s were made from a small cardboard tube, often red, approximately 1 1⁄2 inches (3.8 cm) long and 9⁄16 inch (1.4 cm) inside diameter, with a fuse or wick coming out of the side; this type of fuse is commonly known as cannon fuse or Visco fuse, after a company responsible for standardizing the product. The tubes often hold approximately 2½–3 grams of pyrotechnic flash powder; many sources state that an M-80 carries 3 grams of powder. Thermalite a specific type of fuse used in pyrotechnic applications. The product was designed to be used in cross matching safety fuses of the Bickford type. As safety fuse is designed to neither give nor take fire through the heavy fuse jacket, ignition may be achieved by punching a hole perpendicular to and through a safety fuse powder core, threading a piece of Thermalite or similar igniter cord through the hole, then gently squeezing the safety fuse with pliers or similar to bring the powder core into contact with the igniter cord. The Thermalite could be ignited by a match, or more certainly by a purpose made igniter, similar to a wire sparkler. This is an alphabetized glossary of terms pertaining to lighting fires, along with their definitions. Firelighting is the process of starting a fire artificially. Fire was an essential tool in early human cultural development. It requires completing the fire triangle, usually by initiating the combustion of a suitably flammable material. Fireworks policy in the United States can be different in each jurisdiction. Wikimedia Commons has media related to Pyrotechnics .